Silky Taffeta gown with side pick-ups, organza feathered flower accent at hip. 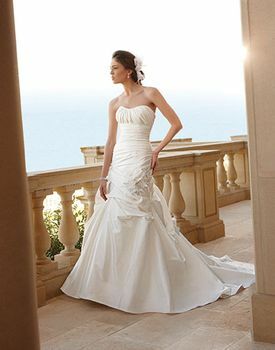 Strapless scoop neckline with matching buttons and loops on zipper. Fabric: Silky Taffeta with Organza trimmed flowers.